The 2019 Mercedes-Benz C-Class brings new dimensions of enjoyment. Its new lower body styling, wheel choices and all-LED lighting highlight its athletically elegant shape. Standard new multi-element LED headlamps offer brighter, more natural illumination by night, eye-catching design by day. The available LED Intelligent Light System has a look all its own and adapts for curves and vehicles ahead. These sedans come standard with sporty 17in alloy wheels, plus seven additional options in 18in and 19in. With more horses, nine speeds and the year-round grip of available 4MATIC all-wheel drive, the C-Class has the agility, strength and confidence to match the beauty of its well-toned body. A twin-scroll turbo, Direct Injection and CAMTRONIC valve adjustment team up for 255hp. Unleashing all 273 lb.-ft. of torque from just 1,800 rpm. Quick, smooth and smart, the 9G-TRONIC transmission helps keep the turbo engine's power on point. Shift paddles let you take charge of its nine speeds, while three overdrive ratios offer relaxed highway cruising. Dynamic select dials in the car's performance character with the tap of a console button. Five modes vary shift points, throttle response, steering feel and more, from easygoing ECO to sharp Sport+, or you can create your own individual mode. 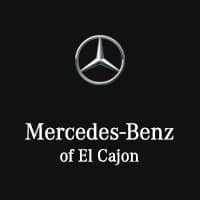 The C-Class offers a range of convenient features for staying connected on the road, including a 12.3-inch digital instrument cluster, a 10.25in center screen, LED ambient lighting, Apple CarPlay and Android Auto compatibility, navigation, voice command, wireless charging, remote start, remote lock/unlock and built-in Wi-Fi.The 2019 Mercedes-Benz C-Class brings new dimensions of enjoyment. Its new lower body styling, wheel choices and all-LED lighting highlight its athletically elegant shape. Standard new multi-element LED headlamps offer brighter, more natural illumination by night, eye-catching design by day. The available LED Intelligent Light System has a look all its own and adapts for curves and vehicles ahead. These sedans come standard with sporty 17in alloy wheels, plus seven additional options in 18in and 19in. With more horses, nine speeds and the year-round grip of available 4MATIC all-wheel drive, the C-Class has the agility, strength and confidence to match the beauty of its well-toned body. A twin-scroll turbo, Direct Injection and CAMTRONIC valve adjustment team up for 255hp. Unleashing all 273 lb.-ft. of torque from just 1,800 rpm. Quick, smooth and smart, the 9G-TRONIC transmission helps keep the turbo engine's power on point. Shift paddles let you take charge of its nine speeds, while three overdrive ratios offer relaxed highway cruising. Dynamic select dials in the car's performance character with the tap of a console button. Five modes vary shift points, throttle response, steering feel and more, from easygoing ECO to sharp Sport+, or you can create your own individual mode. The C-Class offers a range of convenient features for staying connected on the road, including a 12.3-inch digital instrument cluster, a 10.25in center screen, LED ambient lighting, Apple CarPlay and Android Auto compatibility, navigation, voice command, wireless charging, remote start, remote lock/unlock and built-in Wi-Fi.